We know the title sounds lovey dovey but we can't help it since these are heart shaped lockets! Perfect for keeping a picture of your loved ones. Or you can just wear them as they are. We've sold these pieces but would still like you to see them. Let us know if you're interested & we'll try to replicate them for you. 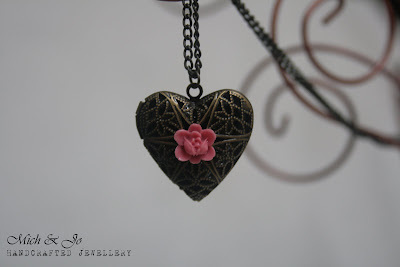 Brass filigree locket with pink lotus flower. 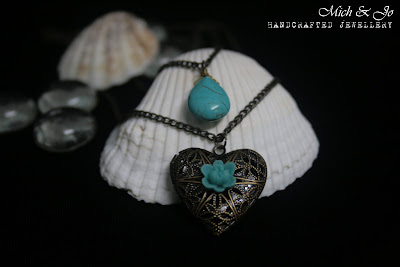 Brass filigree locket with blue lotus flower & turquoise bead. Double chain. Chain is 16" long.